Pomona may have not been what I was thinking, but the metal show part definitely was. With the SXSW vortex in full effect, it is sometimes hard to believe that live music exists outside of Austin during this week; but, alas, it does. I walked into the Glass House just as the first note of “The Literal Black Cloud” began, proving that I had timed the tumultuous journey from Hollywood to the Inland Empire perfectly. It was the song I was most looking forward to hearing all night, and I enjoyed the instant gratification of my brain becoming primordial soup as the journey began from the finger flicking the string causing the note to enter space and meet my ear and, eventually, fire my neurons. 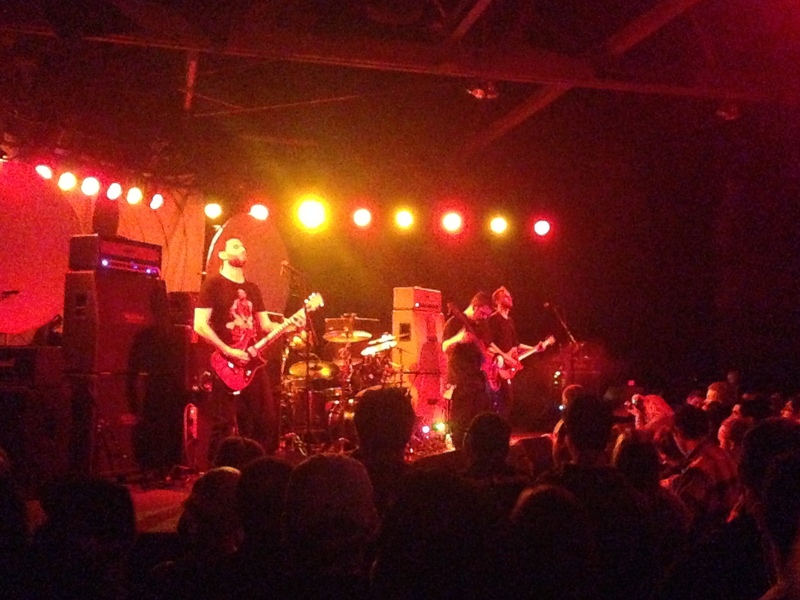 I’ve seen Intronaut play everywhere from a tent to an arena; but their proggy gruffness defies space and time. They set the tone for a night of intricate musicianship, genre-bending sound arcs, and weighty tones. 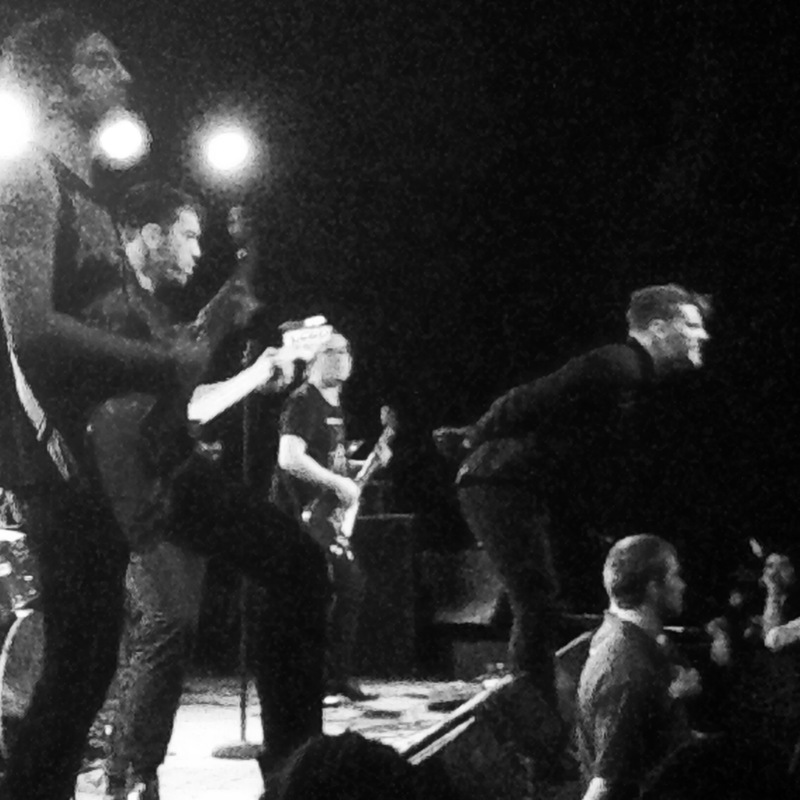 Deafheaven were the weird metal crossover band of last year with their album Sunbather. While I can’t say that I experienced the kind of emotional connection with the album that many seem to, there was definitely a magic to them live. The vocalist wears black leather gloves and looks more American Apparel ad than Vans ad, which is part of the draw. Through his strong performance as a frontman, I was lassoed into the set. Through the shrill screams, he often drooled, sometimes onto the gloves and then onto the ground. Ick. Deafheaven’s music is like a person learning to drive; accelerating too fast and braking too quickly, but it creates a frenetic sense of urgency that is musically appealing. You could feel cracks in the walls of the Glass House. 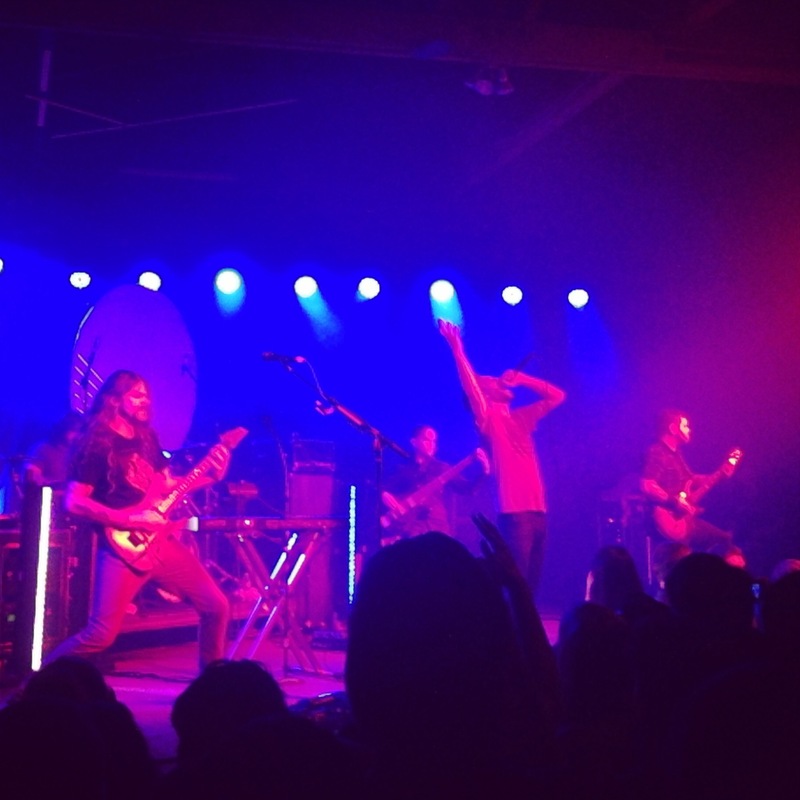 I’ve probably seen Between the Buried and Me close to 10 times, but I just recently started “getting” them. I think I had mental blockage because I have a filter that blocks out bands with more than 3 words in their name. Anyway, BTBAM are like an accident between a Smart car and a Ford F350…parts of their songs are so light and pretty, but those parts are always quickly followed up by snarls and wicked riffage. Their attention to visual detail in the high school gym-feeling Glass House was admirable; beyond some lighted poles between the frontline and the drummer, there were two circular screens with engaging visuals for every song. From the beginning of “Foam Born (A) The Backtrack”, a passerby would think it were an indie rock show, only to turn scurrying away when a couple of minutes into it the song morphed into a sea of screams. Often bathed in pink light, I realized the sizable female population in the room. Scratch that, I noticed the very varied group of people in that room; for a band with work embracing polar opposite sounds they seem to have captured the attention of all instead of none… a tough task. Highlight of the night was obvious: “Selkies”, a song that speaks like King Crimson and Opeth put into a Vita-Mix. BTBAM are weirdly different; esoteric bands make my world go ’round.